This spring has been anything but springlike. The National Weather Service has issued a freeze watch for much of the area west of D.C. until 9 a.m. Friday. 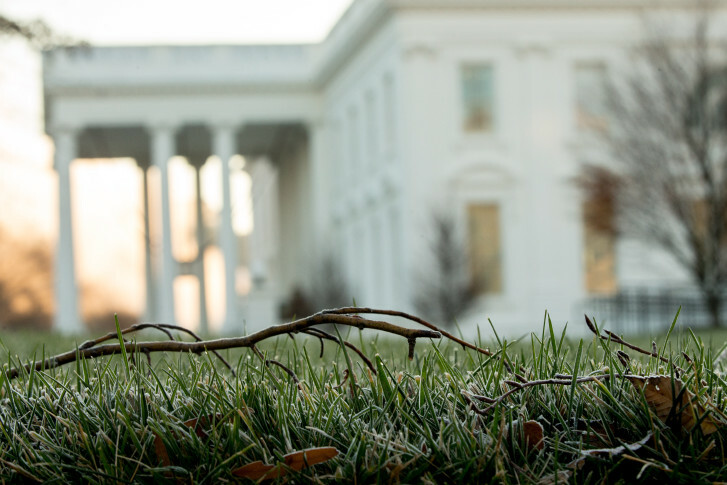 WASHINGTON — People — and plants — are going to need to bundle up in the morning. 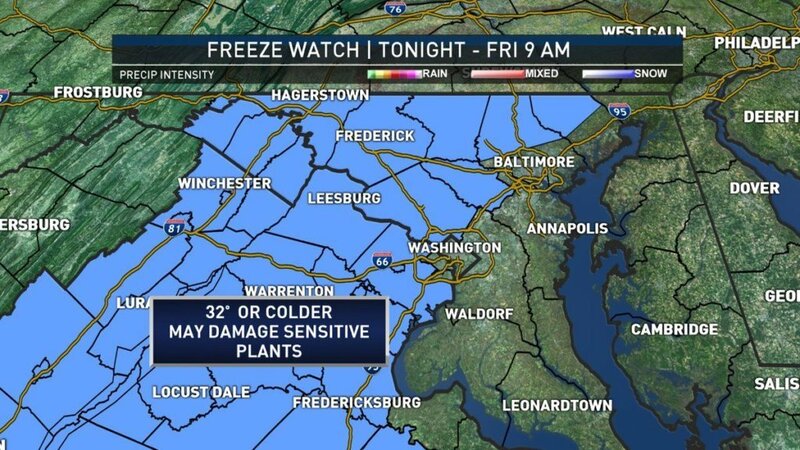 The National Weather Service has issued a freeze watch until 9 a.m. Friday for much of the area west of D.C. Frost and freeze can damage sensitive vegetation. The NWS recommends taking precautions to protect vulnerable plants since the cold conditions could kill crops. High winds won’t make matters any easier. Storm Team4 meteorologist Sheena Parveen said gusts could hit 40 mph at times. A wind advisory remains in effect until 6 p.m. Thursday. Friday will still be breezy, and highs will only get to the mid-50s, but at least it will be sunny. Friday: Mostly sunny and breezy. Temperatures in the mid-50s. Saturday: Starts cold then warms up. Mostly sunny. Highs near 60. Sunday: Mostly sunny. Temperatures in the mid- to low 60s. Monday: Mostly sunny with highs in the mid-60s.